The initiative has been a resounding success and has had a huge impact on the provision of music making activities for children and young people across Scotland. 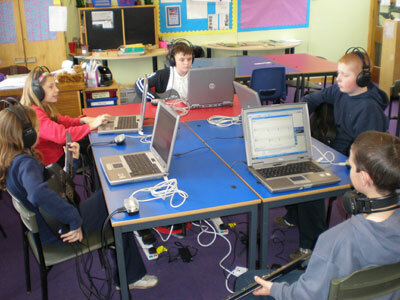 Amongst its key achievements are that children now have access to one year’s free music tuition by the time they reach Primary 6, as well as increased opportunities for out of school hours participation providing Scotland’s young people with the opportunity to develop musical skills and appreciation and experience the personal, social and educational benefits that accompany these activities. 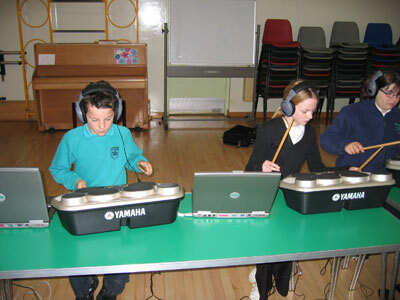 As part of the YMI provision in the Highlands, The Highland Council set up the Music on the Move scheme in 2005 supported by Yamaha and Gigajam, to deliver music lessons to around 80 primary schools. 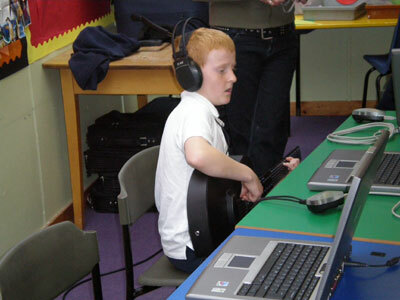 Two tutors work closely with 77 primary schools across the Highlands using mobile Gigajam units equipped with Yamaha digital guitars, drum modules and Dell laptops to teach pupils to play the guitar and drums. Each school has 12 sessions with the tutors and has access to kit and software for use between sessions so that pupils have a chance to practice. 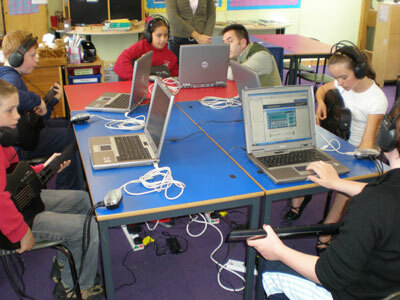 Parents can also purchase the software, so that their children can access lessons at home. The project has been developed by Highland Council’s Music Development Officer, Norman Bolton, who identified that there was a gap in provision for guitar and drums tuition in the Highlands. Norman has worked closely with Gigajam, who adapted the software specifically for the project, including the provision of audio instructions to ensure that children who experience difficulties with the text can take part in the lessons. Gigajam uses the latest interactive software to provide user-friendly lesson instructions, ‘how to’ videos, play along files with full band backing tracks, and a performance assessment facility that provides pupils with feedback on their progress. Highland Council is now looking to roll the project out to a further 40 schools in the area.